Flexi, 8.25 x 11.5 in. / 520 pgs / 146 color. Introduction by Germano Celant. Text by Jo Applin, Luciano Chessa, Chiara Costa, Christoph Cox, Geeta Dayal, Patrick Feaster, Christoph E. Hänggi, Bart Hopkin, Douglas Kahn, Alan Licht, Andrea Lissoni, Noel Lobley, Deirdre Loughridge, Mario Mainetti, Simone Menegoi, Holly Rogers, Jonathan Sterne, David Toop, John Tresch, Eric de Visscher, Rob Young. Preface by Miuccia Prada, Patrizio Bertelli. Art or Sound examines the rich overlap and areas of ambiguity between musical instruments and works of art. 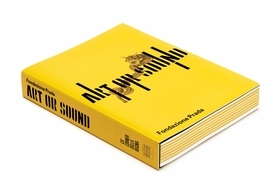 Looking at examples spanning the seventeenth century to the present, this gorgeously produced book, with its thick vinyl cover, offers a fascinating reinterpretation of the musical instrument and the ways in which it can become a sculptural-visual entity (and vice versa). It opens with instruments made from precious materials in the seventeenth century, eighteenth-century musical automata by Pierre Jaquet-Droz and various customized instruments from the Victorian and early modern eras. Research in the field of synesthesia is presented along with works from the historical avant-gardes, such as Luigi Russolo's celebrated Intonarumori (1913). Also included are scores by John Cage, works by Robert Morris and Nam June Paik, sound installations such as Robert Rauschenberg's Oracle (1962–65) and Laurie Anderson's Handphone Table (1978). 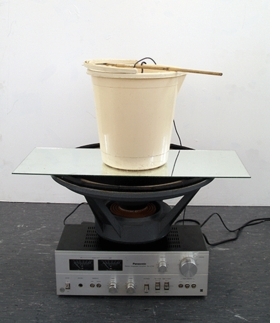 Examples of artistic appropriations of musical instruments (by the likes of Arman, Richard Artschwager and Joseph Beuys) and hybrid instruments by Ken Butler and William T. Wiley are considered alongside the more recent research of artists such as Christian Marclay, Janet Cardiff, Martin Creed and Doug Aitken, and a younger generation, represented by Anri Sala, Athanasios Argianas, Haroon Mirza, Ruth Ewan and Maywa Denki, among others. Esteemed writers, musicians and scholars such as Christoph Cox, Douglas Kahn, Alan Licht, David Toop and Rob Young contribute contextualizing essays. 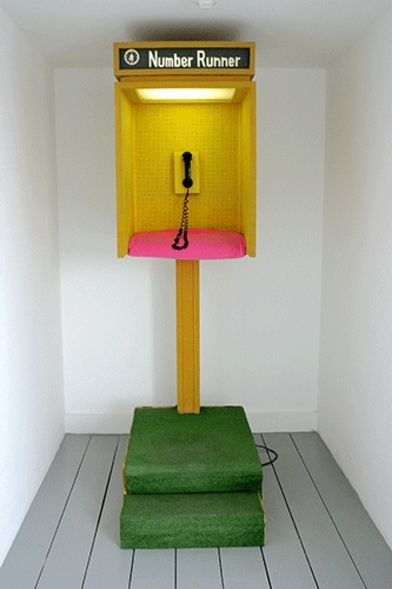 "Lo-Tech Proposed" (2006-14) by Haroon Mirza is reproduced from Art or Sound. FORMAT: Flexi, 8.25 x 11.5 in. / 520 pgs / 146 color.